Our last days in Jeollado were quiet. From our serene patjuk in the mountains, we drove to Gwangyang where we had the city’s namesake “Gwangyang bulgogi” at 시내식당, Shinae Shikdang, which translates as “City Restaurant.” The next morning, Randall, Carolyn and I wandered the alleys around the hotel and ended up eating pork bone soup for breakfast. 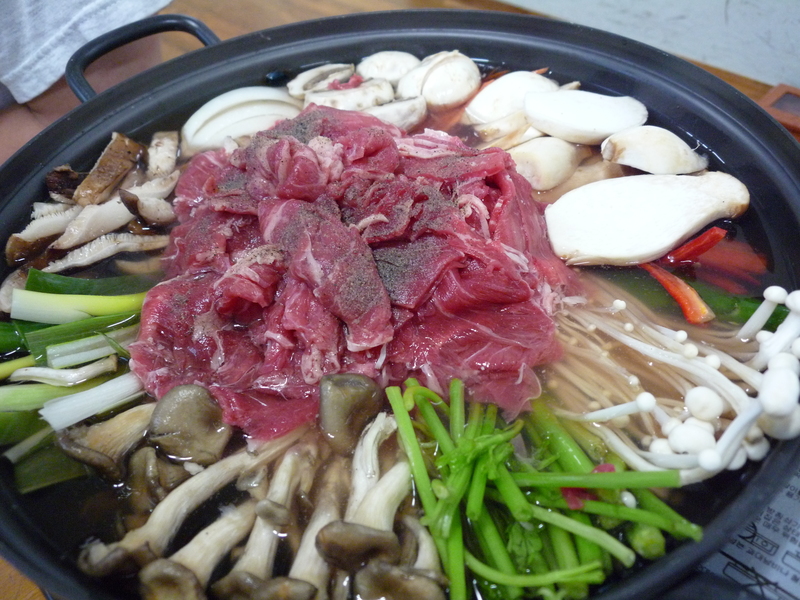 By lunchtime, we were in Namwon, where we had bulgogi jeongol, a big hotpot of vegetables and thinly sliced sirloin. We made a quick stop in Sunchang, home of the best gochujang or red chile paste in Korea, where I bought a few things to hide in my suitcase going back to NY. Everything was good and fresh, but nothing was thrilling. I was honestly disappointed. I had come to Jeollado expecting something new. Korea, or more accurately South Korea, has been made small by modernization. The different regions to which I’ve traveled this year — Jeolla-do, Gyeongsan-do, Gangwon-do — have had official boundaries since 1413. 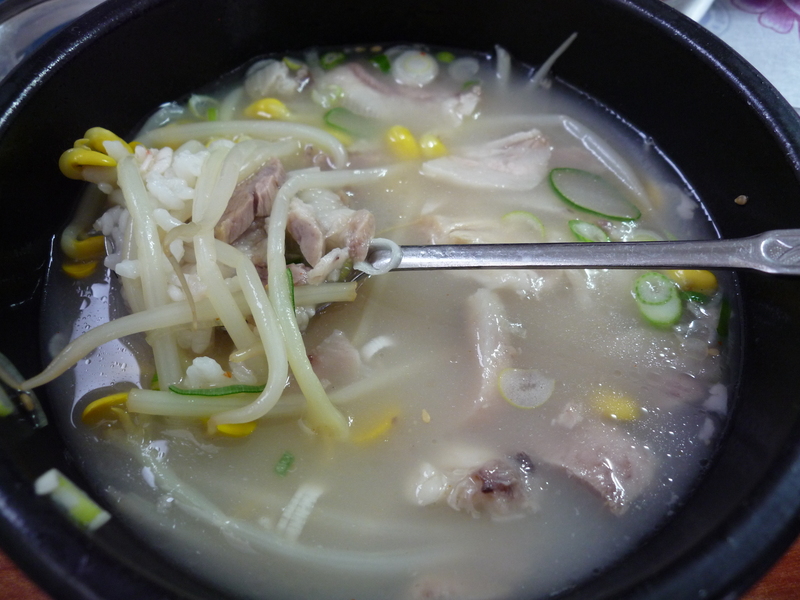 Without modern transportation and telecommunications, the varying terrain and ensuing climate differences meant people in Jeolla-do ate distinctly different food from people in Gangwon-do. Rice for people in Jeolla-do, potatoes for people in Gangwon-do. But now, the predominance of something like soybean sprouts in Jeonju cooking is just lore, it’s not something that’s understood in the gut. I’d heard southerners eat food, and especially kimchi, that’s spicier, saltier and fishier than people in Seoul, but I can’t say I noticed a really obvious difference. 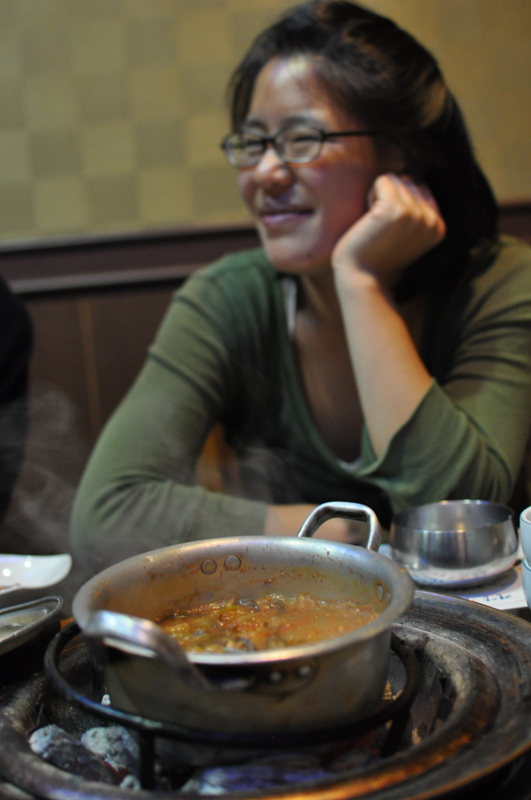 Looking back months later, though, what we ate in Jeolla-do did have something in common. If not flavor or technique or ingredient, there was certainly care in everything we ate. Not just the gorgeous care that went into the Jeonju bibimbap, nor anything akin to the quiet, studied attention to aesthetic you find in Japan in even the lowliest ramen shop. It was something coarser but still wholehearted, an offhand assumption that good food takes work and an equally offhand willingness to do the work. The octopus you have to kill to eat, the pine nuts you have to extract from pinecones, the pine mushrooms you need to hunt in the wild, because you can never, ever cultivate these. 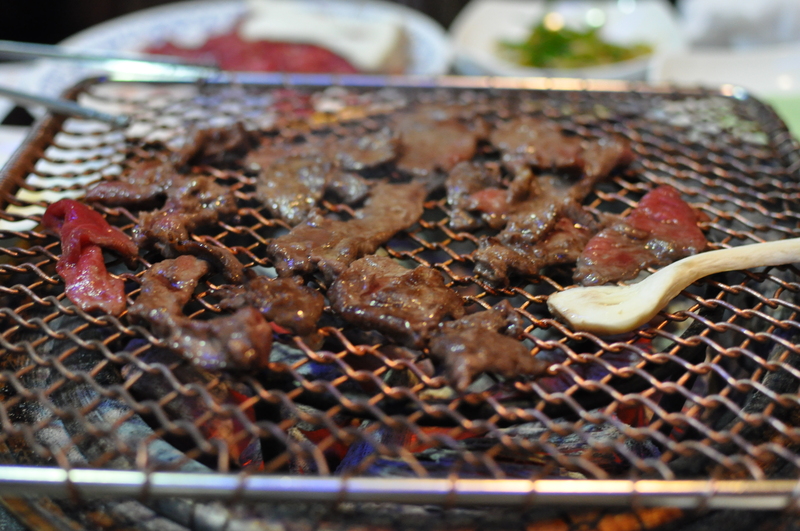 So, if I review those last things we ate in Jeolla-do, there was the “Gwangyang bulgogi,” where lean, tender meat is lightly seasoned before grilling, and highly prized because, as my mother told me, Gwangyang was famous for taking good care of its cows. 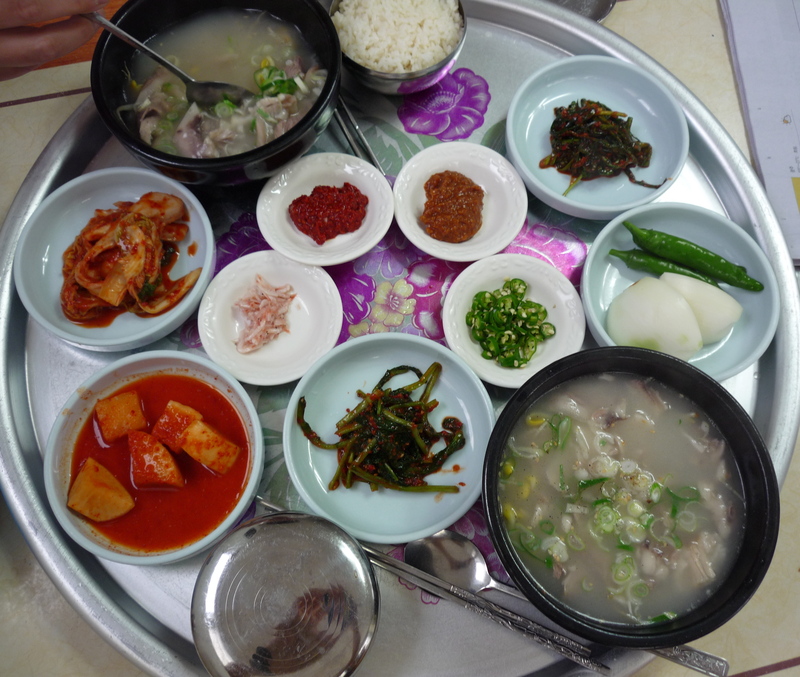 Our daeji-gukbap or pork soup at a hole-in-the-wall had the unmistakable flavor of MSG (which was sort of soothing that fall morning) but also 4 kinds of kimchi. 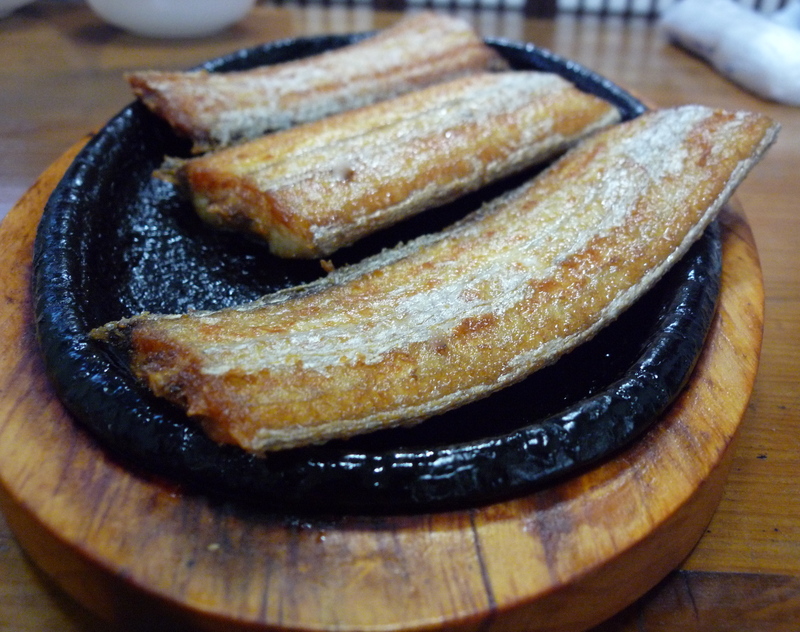 In Namwon, at a restaurant we randomly picked in the rain, we found galchi-gui or hairtail fish fried perfectly and greaselessly. (If you’ve never tried this, it tastes like salted gold, and a little precious, too, since there’s not much meat on the bones). None of this food would look unfamiliar to someone who’s never left Seoul, and the skeptic in me scoffs at the romantic in me that wants Jeolla-do food to be obviously different. But even if it is not, if Koreans all over the country and the world work for their food, that’s not such a bad finding either. I’m grateful to Jeolla-do for making it more obvious to me.